It's been a while and I'm back. Check out my new web article on Bill Siemantel's TheBBZ.com. 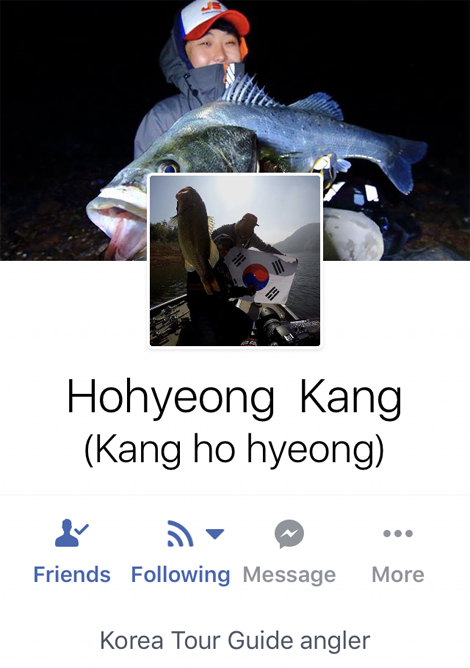 I had a blast in South Korea catching big bass with my friend who's also a semi-professional bass guide. Check out the article for mode details. Already seen some of those teaser images on my Facebook page and wonder what they are or what they mean, read on! 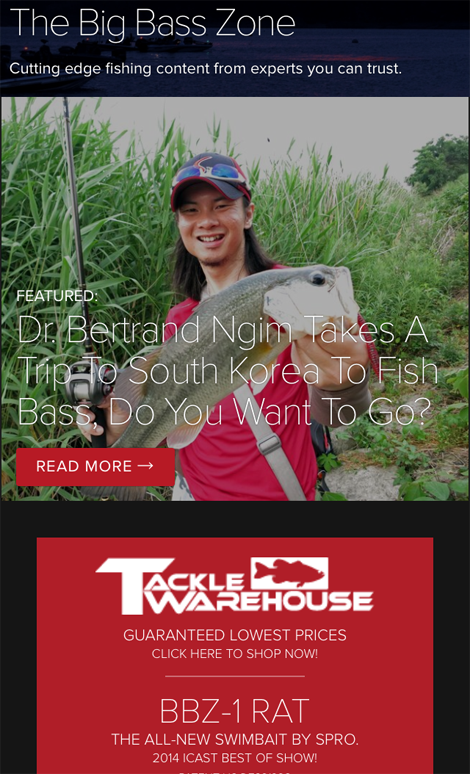 Approximately two years ago, a cool guy named Dennis Lee (founder and owner of Singapore-based online tackle retailer Biteztackle.com) got me hooked up with angling apparel company SportyFish (also based in Singapore). Shortly after, I was really honored to have them aboard as one of my sponsors, and I sincerely mean it. 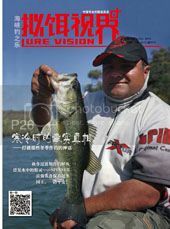 SportyFish is a dynamic company that is owned, managed and run by people who are genuine anglers, just like you and me. 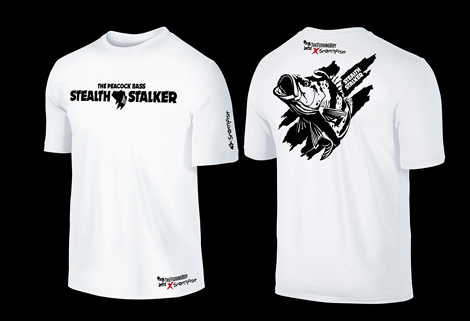 They make some of the coolest angling T-shirts, integrating style and performance, for mainly hot and humid climate applications. 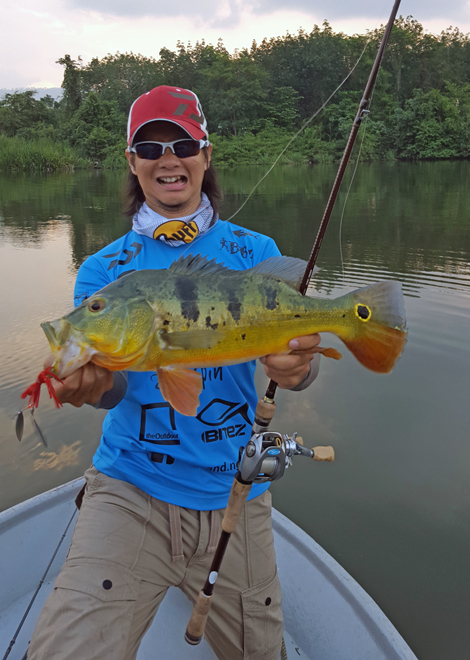 Last summer, I’ve been using SportyFish’s angling T-shirts for most of my time on the water in hot and humid Malaysia, from urban lakes Tasik Prima in the Kuala Lumpur suburbs, Air Kuning in Perak’s Kinta Valley and Sungai Perak tributary in northern Perak. All in all, my experiences with SportyFish products have been immensely positive, especially the Ink Series which is also my favourite. 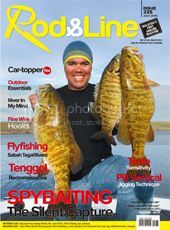 Check out my articles on Rod&Line magazine, December 2015 to May 2016. 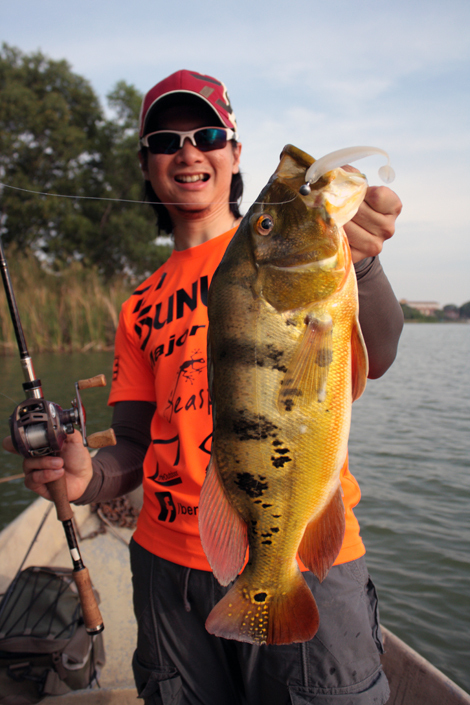 My first outing on urban lake Tasik Prima in Puchong suburbs of Kuala Lumpur, Malaysia in SportyFish Ink Series angling T-shirt was a success. From Kuala Lumpur to sweltering hot and humid Air Kuning, Perak. 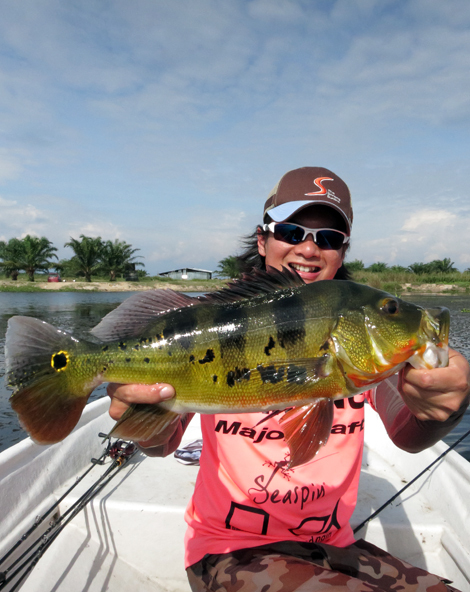 When the heat is on, the bite goes on... Peacock bass fishing in Air Kuning at its best. Stay focussed, stay calm and stay confident even when conditions don't go your way. My personal best of Chenderoh Dam, northern Perak. For my trips in August 2015, SportyFish and I collaborated to produce custom prints based on the current Ink Series. 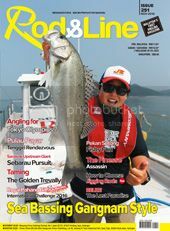 Conditions on the water in Malaysia is not for the faint hearted, primarily because of intense heat and humidity and you got to make sure you hit the water with clothing that is appropriate for the conditions. For that, SportyFish had me fully covered, from UV protection to moisture control sweat wicking features that are also found on their other products. 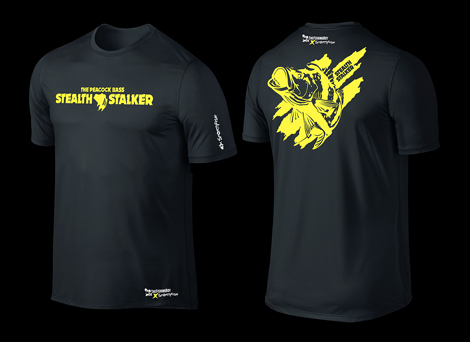 Two years later, here we are, working in collaboration to launch the latest TheFishingBoy series of peacock bass-themed Dri-Fit T-shirts. 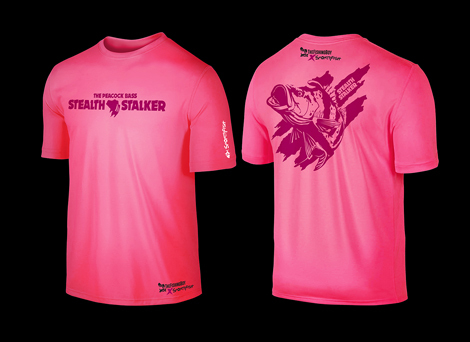 For this inaugural line of product, we have in total four exciting colors, chartreuse on black, pink on fluorescent -pink, orange on maroon and the classic black on white. 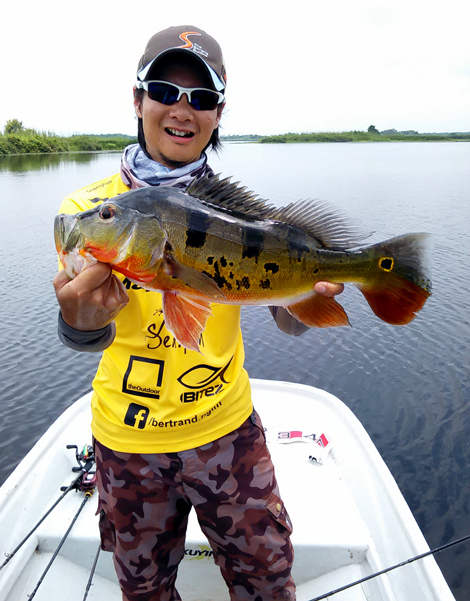 Deep down, I’m a peacock bass enthusiast. Peacock bass fishing is what I enjoy catching, what I know best and it symbolizes who I am as an angler. Finally, if any of those colors look familiar to you or you might have even caught fish on lures with colors similar to those, you bet you’ll look equally as cool on the water in a TheFishingBoy series T-shirt. 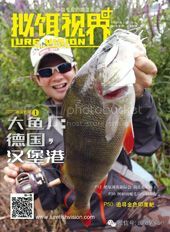 For more information, check out http://www.sportyfish.com/ and do not forget to place you order(s). 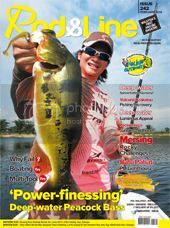 You're here because you're an avid angler like me. I am a freelance writer, photographer, blogger and field-tester. 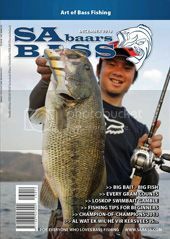 Contact me at TheFishingboy@gmail.com for any interesting angling opportunities. 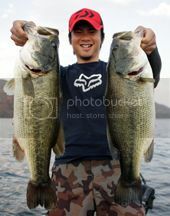 copyright © 2019 TheFishingboy's Fishing Blog | 釣りブログ | le Blog de Pêche | 钓鱼博客 all rights reserved.